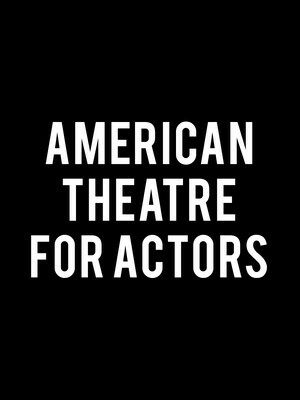 A small repertory theatre company, the American Theatre of Actors exists to promote and nurture fresh talent in the form of new actors, playwrights and directors, without the complications and pressures of commercial theatre. Founded by current President and Artistic Director James Jennings in 1976, the Off-Broadway theatre is comprised of three different stages - the 140-seat Chernuchin Theatre, the 35-seat Beckmann Theatre and the 65-seat Sargent Theatre. Past alumni include Bruce Willis, Kevin Spacey and Edie Falco. Please note: The term American Theatre For Actors as well as all associated graphics, logos, and/or other trademarks, tradenames or copyrights are the property of the American Theatre For Actors and are used herein for factual descriptive purposes only. We are in no way associated with or authorized by the American Theatre For Actors and neither that entity nor any of its affiliates have licensed or endorsed us to sell tickets, goods and or services in conjunction with their events.